The Vienna Executive Pen is a metal pen with black tear drop grippers. 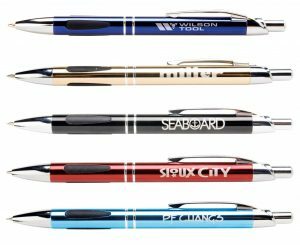 This pen comes in fashion colors with silver an dblack accesnts. Available in high gloss or brushed finishes. Laser engraved in silver. One time set up charge is 31.25. Min is 75 pesn at 1.28 ea, 100 at 1.24, 500 at 1.14 ea, 1000 at 1.06 each, price good through 12-24, 2016. Writes in blue or black ink (please specify). 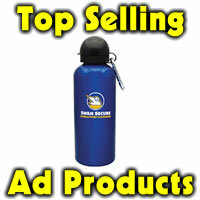 Laser engrave area is 1-3/4″ x 3/16″. Enhanced engraving available 1/2″ h x 1-3/4″ for add’l 50 cents per pen.